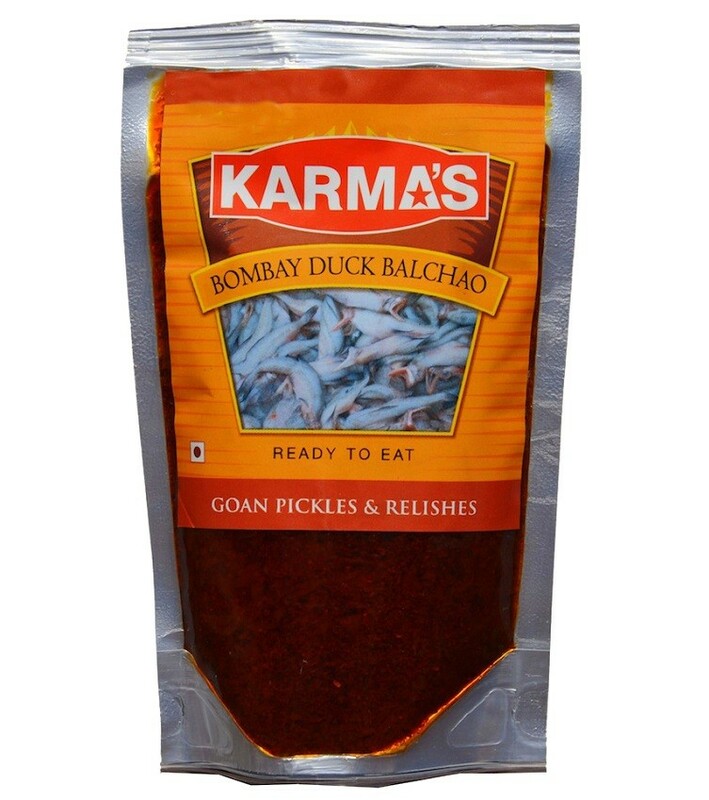 Buy Bombay Duck Balchao of Karma Foods from Margao online | Authentic Indian Sweet , Savories and Delicacies from the place they originate by Moipot. Pickles is one of the most preferred Indian food accompaniment that helps through routine, boring meals. 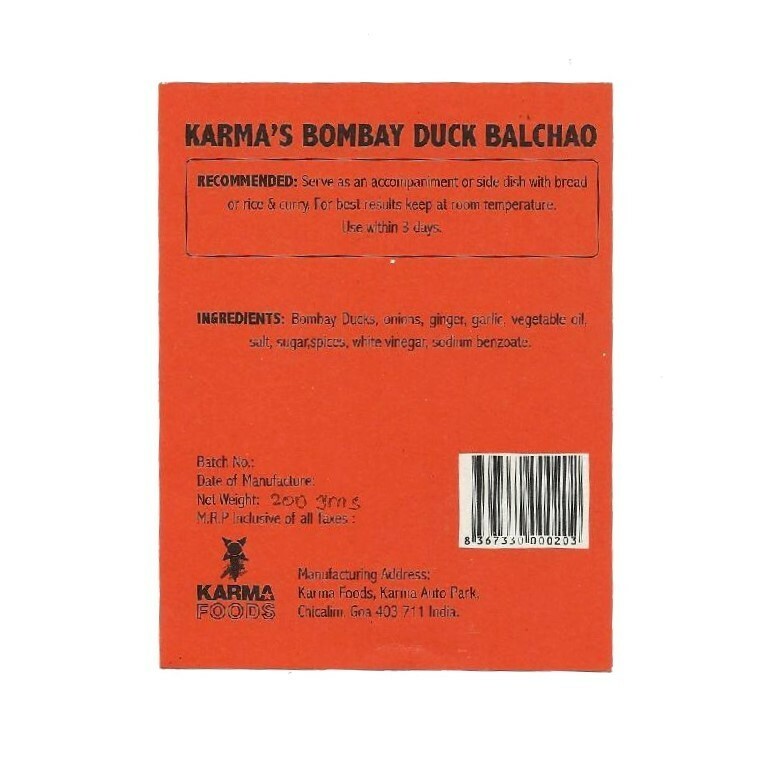 The Bombay Duck Balchao by Karma Foods will leave you mesmerized with its perfect fusion of sun dried Bombay duck with aromatic spices and condiments giving it rich and sweet-smelling flavor. Grab this delicious meat-based pickle to relish with every meal.